Performance times have been announced for the sold out Rock On The Range, held May 19, 20 and 21 at MAPFRE Stadium in Columbus, OH. Rock legends Metallica, Soundgarden and Korn will each headline one night of America's largest and most-acclaimed rock festival, now in its 11th year. In addition, the full lineup has been announced for the Rolling Rock Comedy Tent, led by Jim Breuer, Nikki Glaser, and Tony Hinchcliffe. The SOLD OUT Rock On The Range Kick-Off Party will launch the weekend with an exclusive performance by Stone Sour, marking the band's return to the live stage, on Thursday, May 18 at Express Live! in Columbus, OH. In addition to three stages of music and the Rolling Rock Comedy Tent, Rock On The Range features of a variety of Eat Local! and national food vendors at four separate food courts: the Plaza Zone, East Lot Food Village (including the Eat. Rock. Repeat. area offering comfort foods with gourmet ingredients and savory combinations), West Lot Food Village, and the VIP Lounge. Fans will also have access to artist signings, meet and greets, exclusive acoustic performances, and more at onsite experiences including the Monster Energy Experience, the Jack Daniel's Experience, The Music Experience, FYE Fan Experience, Zippo Encore and others. Rock On The Range is supported by our rockin' sponsors: Monster Energy, Jack Daniel's, Zippo, Bud Light, Rolling Rock, StubHub, Repreve, The Ohio Lottery, FYE, The Music Experience, Deep Eddy Vodka, US Marines and Fxck Cancer. These partners, along with many others, will feature interactive experiences, artist meet & greets, and other unique fan engagement opportunities throughout the festival. We're excited to be partnering with Uber to provide safe and convenient rides to and from Rock On The Range this year. If you've never used Uber before, we'll cover your first trip up to $15. 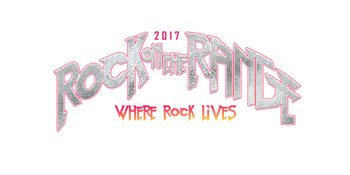 All you have to do is sign up with the promo code ROTR17.